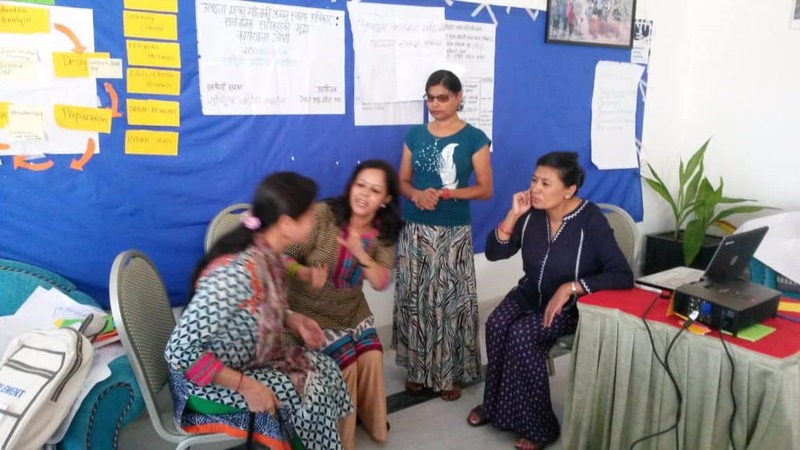 In collaboration with Enablement, Hanne Verhoeven trained 16 women of the Nepalese Women with a Disability Association (NDWA) as trainers and advocates for sexual and reproductive health and rights and food security. It’s a privilege to work with such powerful and inspirational women who advocate for their rights. Appreciative understanding and self expression is challenging if you can’t see or hear. They do it. Next step of this trajectory will be coaching on advocacy and on their training sessions.